Hooray for summer’s bounty! Russian pink heirloom and San Marzano tomatoes from the garden. 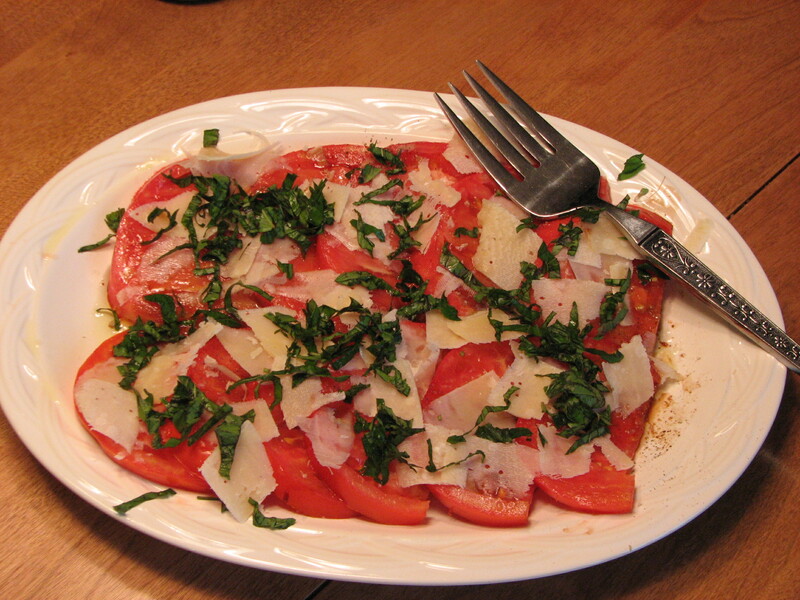 Drizzled with some olive oil, balsamic and topped with salt, shaved Parmesan and basil. Yes ! !